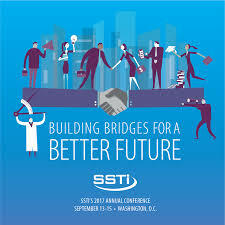 Dave attended SSTI’s annual conference. It engages those involved in the innovation economy in a dynamic exploration of the advances and challenges facing our community. Gather with your peers to help build solutions in the face of uncertain funding and other roadblocks, and to share practices that strengthen science, tech, innovation and entrepreneurship. Contact Dave to help you demand citizen engagement for a creative future!